Why Treating Your Dog’s Dirty/Smelly Ears Should Be Urgent! Ear infections are the single largest reason people take their dogs to the vet. However, there are actually several types of ear infections that can affect your dog. Otitis is a general term describing inflammation or infection of the ear, and it can show up in your dog in several forms. Otitis externa is commonly indicated by redness or swelling in your dog’s outer ear and his outer ear canal. This is essentially swimmer’s ear for dogs, as it’s often caused by water that gets trapped inside the ear canal. Water trapped in the ears allows bacteria to breed, and if not addressed can cause pain and swelling, as well as even infections of the bones and cartilage near the ear. If your dog’s eardrum isn’t punctured and there no pus or blood, you can suspect this most common type of ear infection. Fortunately, it’s the easiest type of dog ear problem to treat. Look for these typical signs of otitis externa: discharge from the ear, often brown or black in color, and a bad odor. Less common is otitis media, which is an inflammation of your dog’s middle ear, located behind the eardrum. 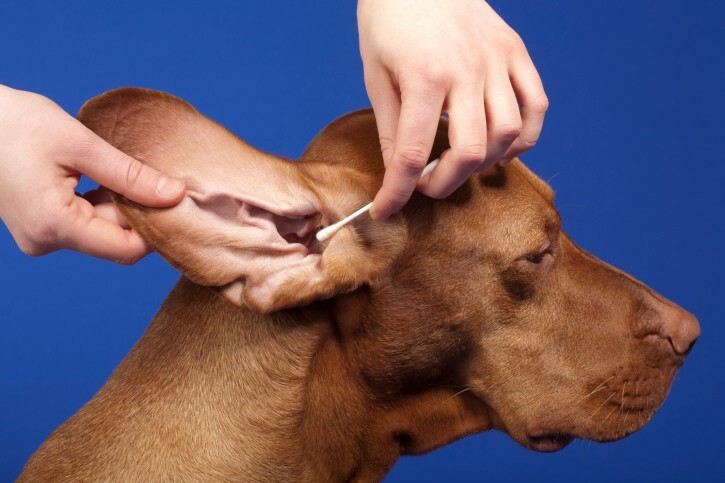 The most serious infection is otitis interna, which is an infection of the inner ear, and involves the area connecting your dog’s ear to the brain, and involves important nerves governing balance and hearing. Dogs with floppy, hairy ears are more likely to get ear infections because their ears create the humid environment that allows bacterial growth. Many breeds have a tendency to be susceptible to ear infections, such as German Shepherds, Labrador Retrievers, Cocker Spaniels, and Shih Tzu, to name a few. Bacterial infections caused by Staphylococcus bacteria “Staph” infections are caused by a group of bacteria that can infect many parts of your dog’s body. Dogs with staph infections in their ears have the signs of listed above, including smell, pain, redness, etc. Puppies and aging dogs with weaker immune system are particularly prone to staph infections. A vet may prescribe antibiotics for staph, but several strains have become resistant. Pseudomonas include a vast group of bacteria of over 200 different species. Ears infected with this type of bacteria are often swollen and sometimes fluid-filled. Vets typical use topical antibiotic ointments, along with solutions to clean the ear. Proteus mirabilis is another common bacterium that infects dog ears. Vets may attack them by using an anesthesia, ear flush, steroids, and multiple antibiotics. Ear mites are tiny parasites that can also cause serious irritation and inflammation, especially if they get out of control and leave debris behind. Clues to ear mite invasions include your dog scratching at his ears and a tell-tale brown substance resembling coffee grounds inside his ears. Since ear mites are so tiny, identification normally viewing under a microscope. Ear mites are contagious and spread rapidly. Even a brief encounter with another infected pet can cause an infection and problems in your dog’s ears. Ear mites have become resistant to many insecticides they were once treated with, but your vet can prescribe the right treatment and there are also natural preparations available that can work. Yeast infections are a very common cause of dog ear infections and include the regular symptoms along with itching and flaking as well. Yeast infections are caused by an overabundance of a common yeast called Malassezia. If your dog swims or is otherwise frequently exposed to water, yeast infections are a likely occurrence. Yeast infections in dogs’ ears are frequently treated with topical antifungal ointments or creams, and there are also some very effective natural treatments. Allergens can cause some dogs to develop ear infections. Allergens which can affect your dog’s ears include pollen, dust, mold, particular foods, as well as fleas and tick saliva. You should know that it’s very important to treat any kind of ear infection quickly. Repeated or severe infections can cause major complications and long-term damage to your dog’s ear. CEO and Chief Happiness Officer at www.vet-organics.com. 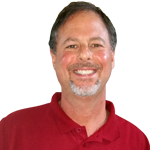 Craig is the founder of Vet Organics, where he and his team share additional pet-related articles on the company’s blog. Vet Organics is an eCommerce provider of EcoEars and an array of premium natural products dedicated to the health and wellness of pets.